The latest restoration of LNER A3 4-6-2 No. 4472 "Flying Scotsman" has been a long and protracted affair too complicated to go into here. The engine is seen here in wartime black livery as No. 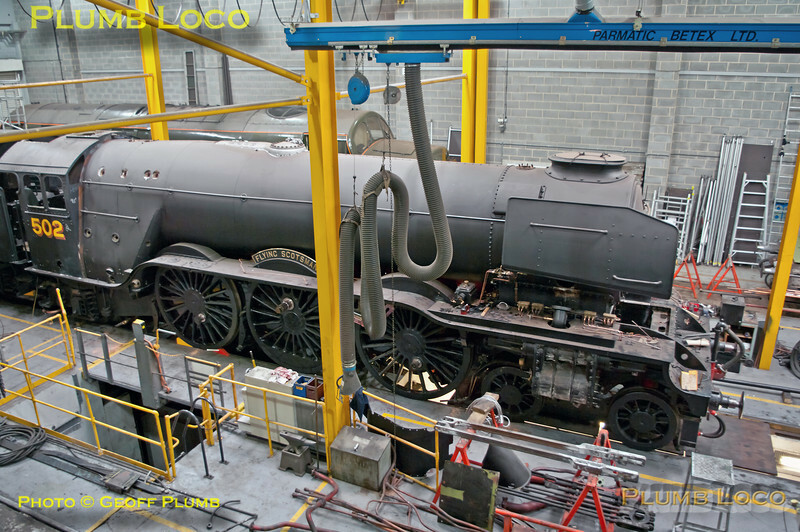 502 in the works at the NRM in York on Thursday 2nd May 2013. Digital Image No. GMPI15432.